Concepts, concepts, concepts. Sometimes you just can’t avoid concepts, not that we would necessarily want to. Sometimes some of them are awesome, and sometimes they’re, well, not. Thankfully, we’re here to work out which need to come across your radar, and most of them will probably have Martin Hajek’s name beside them. 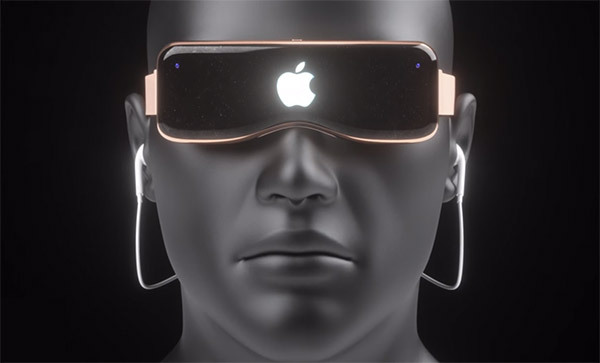 With Apple having hinted on a couple of different occasions now that it may be getting ready to look more closely at the world of Virtual Reality, Hajek set about creating a masterpiece showing just what an Apple-made virtual reality headset could look like. His design makes use of not one, but two high resolution AMOLED displays while also taking advantage of the same tracking sensors that are currently found within the Apple Watch. Stereo cameras are included for augmented reality use and support for headphones and a Lightning cable rounds off the fun. 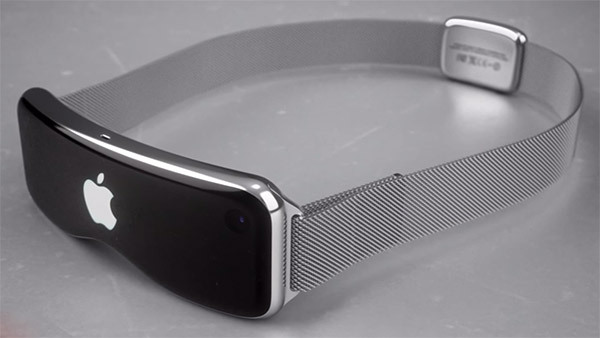 Oh, and the straps that hold the thing to your head uses Apple Watch-like bands. How cool is that? At this point, the whole thing is, of course, nothing more than a bit of fan fiction, but even as someone who isn’t a fan of VR, I have to admit that this thing looks the business, if a little bit too futuristic for some. I’d buy it though, if only to put it on a mannequin and just look at it. Apple’s interest in the world of VR is being rumored after some sources recently claimed that the company has a secret team working on virtual reality projects, and CEO Tim Cook even said that “is really cool and has some interesting applications” during Apple’s recent earnings call. None of this is a smoking gun, but it does at least give us a little hope that someone inside Apple is walking around wearing something like this. You can watch a video montage of the concept’s renders below. Awesome design and looks so promising but here is the bummer, having the ports on the back of the band is a NON APPLE so apple wont do that in the band,ports will probably be in the main set. The ports being in the band can’t be implemented from a functionality point of view because they will have to redesign the entire band which still wont be doable, better have ports in the main device. Also the device should be made of liquid metal not stainless steel due to weigh issues. Cool concept! Imagine how uncomfortable this would be if it were real. Over the ears and behind the head. I know the back of my head isn’t perfectly flat. I would love to see a redo with a more Oakley Gascan style glasses sides, in where you could have each port behind the ears. That would be functional too! Agree. They are ugly and Apple has more styling imagination than these. The beauty of a VR/AR headset, is that you can put the speakers, on the sides, I know some people, like to buy lots of wired headsets, because the wires wear out, but Apple have gone Bluetooth, no headset jack. You put on the headset and flip down the speakers to your ears, adjust, why in Hades, would they want to bring back the dang wires.